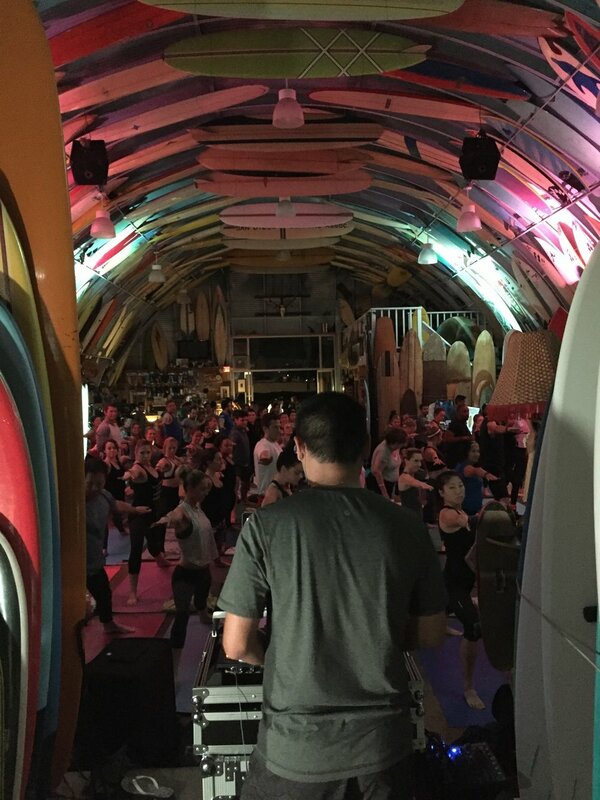 Fitbit Local San Diego celebrates two years with a yoga session at Bird’s Surf Shed. From left, Sheri Matthews, Bird Huffman, Mike Sherbakov and Justin Kanoya. Matthews, Sherbakov and Kanoya put on a Fitbit Local event at Bird’s Surf Shed, a San Diego surf shop owned by Huffman. Two years ago, Fitbit Local started, not only in San Diego, but nationwide. San Diego was the first city to launch the program, with the purpose of bringing local communities together in the name of fitness. It’s now in several other cities, but my heart always remains in San Diego. In November 2015, I was part of that first event with Fitbit Local ambassadors, Sheri Matthews and Mike Sherbakov. And so much has happened since then to all of us. Mike and Sheri wanted to do something special to celebrate this two-year milestone. They decided to make it a yoga only meet-up and found one of the coolest and “so San Diego” spots to do it at, Bird’s Surf Shed. Bird’s, a venue that is actually in a shed, that just happens to be one of the biggest surf shops in San Diego. When I heard that’s where it was happening, a spot where I DJ’d a yoga event in the past, I knew I wanted to be a part of it. Our band of three was back together again for what would be an amazing night of yoga and music. There was something special about this night. It’s hard to explain, but there was magic happening. 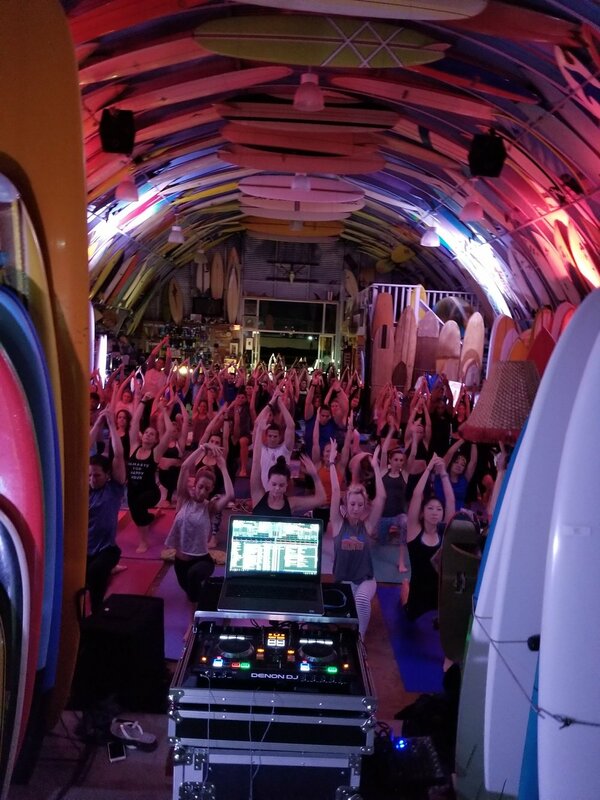 Perhaps it’s because many of these large yoga events (this one had 150 people attending) are usually in spaces that are nearly impossible to have total silence. But we had it here. Add in the mellow beats of the music, as well as some architectural lighting that faded in and out of those beats, people were just transformed into something different during this flow. Here’s a look at the music that was played on this magical night. Casey and Gigi's ceremony set-up at Brick in Liberty Station. Gigi and Casey put on an extra big party at Brick in Liberty Station on October 15, 2017. With catering from Curiocity, a photobooth and plenty of dancing, their guests were entertained all night.